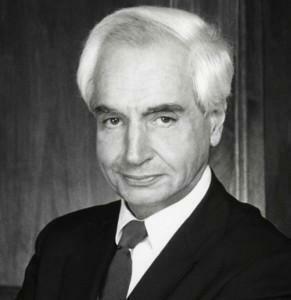 Dr. Diamandopoulos taught philosophy at Brandeis, BU. NEW YORK — Peter Diamandopoulos, a Harvard-trained philosophy professor whose divisive 12-year tenure as president of Adelphi University on Long Island culminated in his ouster over lavish spending and conflicts of interest involving school trustees, died April 1 in Manhattan at age 86. His death was confirmed by his daughter Cybele, who said a cause has not been determined. Appointed in 1985, Dr. Diamandopoulos inherited a sleepy suburban commuter campus that barely met its payroll. He embarked on what he called a “radical transition”: integrating a core academic curriculum with professional education, upgrading standards, hiring professors, creating an honors college, attracting bright students with scholarships and enlisting national figures as trustees, including John R. Silber, Boston University’s president. His salary kept pace with his aspirations. A compliant board made him the second-highest-paid college president in the country, after Silber. He collected $523,636 in pay and other benefits, The Chronicle of Higher Education reported in 1995, even as enrollment plunged by more than 60 percent in a dozen years while tuition soared. An investigation revealed that, among other perks, Adelphi paid for his $82,314 Mercedes, his $1.3 million Manhattan condominium (in addition to a campus residence) and his $4,000 in holiday tips to the apartment building’s staff. Peter Theodore Diamandopoulos was born in Iraklion, Crete. He immigrated in 1948 to attend Harvard, where he earned bachelor’s and master’s degrees and a doctorate in philosophy and classics. He taught at the University of Maryland and Brandeis University, where he was dean of the faculty and chairman of the philosophy department. He was director of studies at the Adlai Stevenson Institute of International Affairs in Chicago. Married and divorced three times, he leaves his daughters, Cybele and Ariadne; a son, Ted; a stepdaughter, Mary Blackstock; a brother, George; four grandchildren; and one step-granddaughter. According to critics, the mark he had hoped to leave on Adelphi was more of a blot. He was accused of failing to sufficiently improve Adelphi’s finances (though he increased the endowment and other reserves from $4 million to nearly $48 million) and of depending too much on tuition increases to support an expanded budget. By 1989, the faculty had asked the trustees to dismiss him. Dr. Diamandopoulos agreed to repay the university for excessive pay and other costs. Adelphi has since rebounded. Freshman applications rose from 1,947 in 1996 to 8,806 in 2014, and the endowment to $175 million. After leaving Adelphi, he was hired by Silber as a special assistant to the president of Boston University and professor of philosophy and humanities. He retired in 2008.